Vainglory is without a doubt the most popular MOBA on Android. 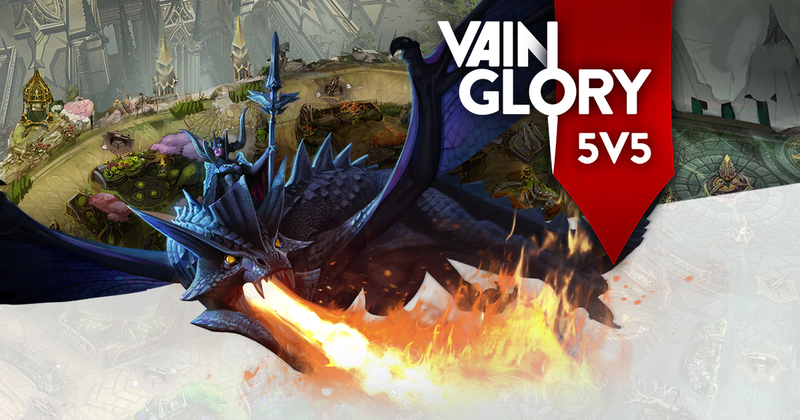 Sure there are some recent up and comers, but Vainglory still remains the go-to MOBA on mobile. Now, despite the fact that it has earned its current popularity, one of its players' major complaints was that it only allowed for 3v3 gameplay. This all changes today as you can now play 5v5 matches with full 3-lane maps any time you like, just like the big boys on PC. Another interesting addition in the 5v5 update is the added support for 120Hz displays. Currently, only the Razer Phone and the Japan-only Sharp Aquos mini SH-M03 support such a high refresh rate, but the few of you who happen to own either of these phones can now enjoy some smooth buttery goodness to the gameplay, the same as any current iPad Pro user. It is also notable that the 5V5 update has introduced a "true line-of-sight Fog of War" mechanic that will lend itself well to the new 3-lane gameplay, along with a few new objectives to keep players busy. For any Vainglory fan, this is a pretty big update that has been a long time coming. I am glad to see that it has finally landed on Android, and a day early to boot. The added 120Hz display support is also a welcome addition, and hopefully Android will see more phones and tablets taking advantage of this tech soon enough. But even if you don't happen to own a phone with a 120Hz display, the new 5v5 gameplay is plenty good enough.